Old lady ‘experts’ will often tell you that you need all sorts of specialist equipment to make jam but really all you need is a good, heavy pan, some sugar, enough pectin, enough acid, and some cold spoons for testing if the jam is ready to set. It is far easier than many would have you believe to make a simple yet tasty jam. Don’t be tempted to invest in expensive equipment – you really don’t have to do so to get a good end result. Pectin is a water soluble fibre that is present to some degree in most fruits. Some people add pectin to their jams to help them to set. However, adding pectin is usually unnecessary, as the fruits will often have enough natural pectin in them to make a great jam. Adding commercial pectin can speed up the process, but can also cause an unpleasantly firm, jelly-like texture, so it is usually better to avoid adding commercial pectin if you can. If fruits are naturally low in pectin, like raspberries, cherries or strawberries, you can add a handful of high pectin fruits, like currants or gooseberries, or under-ripe apples, in order to make sure that the jam has the right consistency. Some jams are far sweeter than others. Some might include certain spices which add complexity to the flavour. When making jam, it is important to experiment and to find a recipe that you like. Some people will prefer a sweet, simple jam, while others will enjoy a spicy kick or a more sophisticated flavour. Consider lowering or raising the amount of sugar in order to create a jam that suits you. Beginners should remember that although jam is easy to make, you will be heating the jam at high temperatures and should take care to avoid accidents during the jam boiling process. Jam can splatter so take care to avoid being scalded. It is also important to consider safety when it comes to storing your jam for later use. It is vital to make sure that you sterilise your jars. You can do so by taking clean jars and putting them in the oven to heat them thoroughly and remove any bacteria before you store the jam. 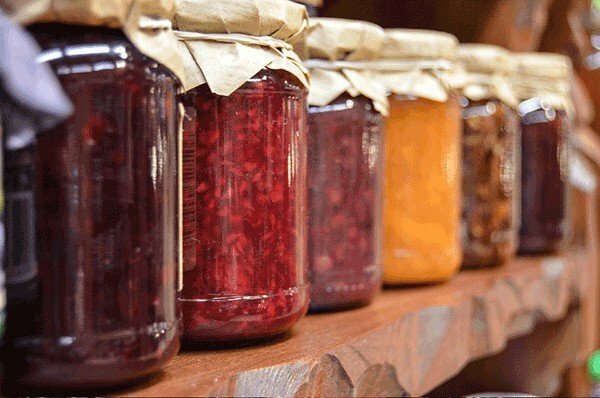 Bear these tips for summer jams in mind when preserving your fruits this year and you to could be enjoying delicious jams on toast or in sandwiches, in cakes or puddings throughout the colder months to come.